Striking art-deco inspired serpentine design and bold styling sets this cocktail table apart from the crowd. Imagine hosting guests around this unique table, with its spacious layout and contemporary look. Cocktail table elements include sleek oval glass tabletop with unusual abstract pattern table base in lush medium brown, making this table a great addition to any room and an easy way to coordinate with existing décor. Sturdy construction with glass, metal and MDF components ensures durability and long-lasting wear. 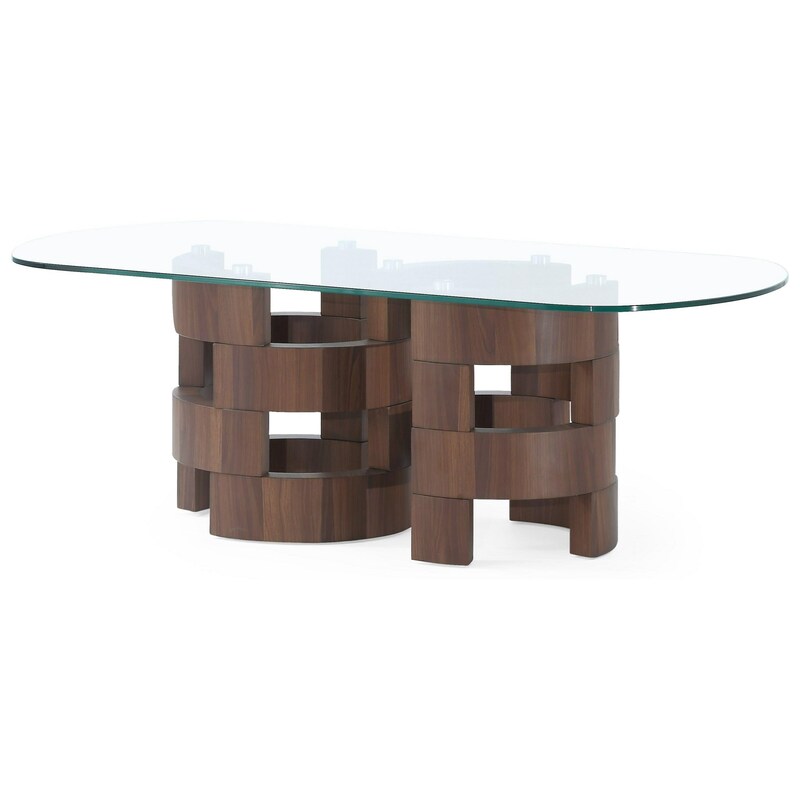 This cocktail table is an excellent choice in home furnishings and will make your seating area/entertainment space sophisticated and inviting. 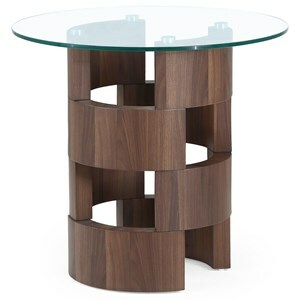 The T866 Art Deco Design Cocktail Table with Serpentine Base by Global Furniture at Value City Furniture in the New Jersey, NJ, Staten Island, Hoboken area. Product availability may vary. Contact us for the most current availability on this product. Browse other items in the T866 collection from Value City Furniture in the New Jersey, NJ, Staten Island, Hoboken area.